Located just outside of the village of Trezzo Tinella, in open countryside yet minutes from Alba, our B&B offers a warm, genuine welcome. 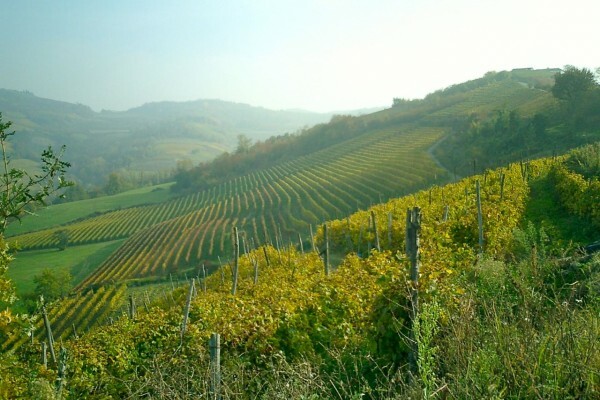 Immersed in nature among the vineyards, hazelnut groves and orchards, our B&B is a fully renovated Piemontese cascina, or local farmhouse, inviting guests to enjoy two spacious apartments or a romantic suite with views of the surrounding hillsides. Two apartments and one suite, tastefully and elegantly furnished, designed for comfort and for maximum privacy. Each room has a separate entrance, and each room faces the surrounding countryside through a private terrace and garden. Breakfast served directly in the rooms. Ground floor apartment measuring 70 square meters (750 sq ft), with a terrace, entrance room, queen bedroom, large bathroom with a shower, living room area with a couch and a sofa bed, and a fully furnished corner kitchen. Free Wi-Fi and satellite LCD television. Ground floor apartment measuring 70 square meters (750 sq ft), with a garden, entrance room, queen bedroom, large bathroom with a shower, living room area with a couch and a sofa bed, and a fully furnished corner kitchen. Free Wi-Fi and satellite LCD television. Open-space room measuring 40 square meters (430 sq ft), with a separate bathroom with shower and a Louis XVI style bathtub in front of the bed. Independent heating and air conditioning, sideboard, living area with sofa, free Wi-Fi and satellite LCD television. One wall is entirely of glass for a vast viewof the vineyards and surrounding countryside. No experiences yet with B&B Mario&Mario. Be the first! Did you stay in B&B Mario&Mario? Let us know what you thought about it and help others to make the right choice! * I confirm having stayed in B&B Mario&Mario. 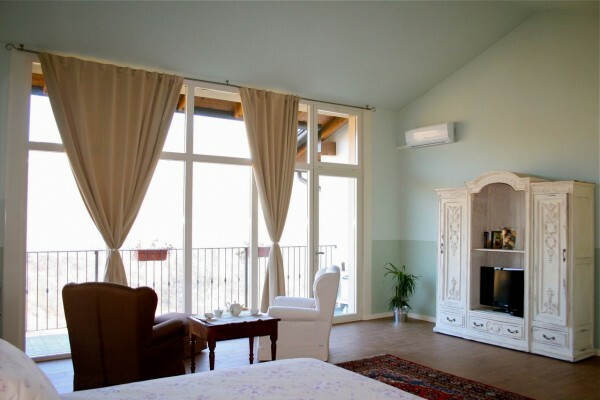 Find other bed & breakfasts in Trezzo Tinella or all bed & breakfasts in Piedmont.